As the weather slowly starts to cool anticipation for the coming winter season is building. As much as we all love the ski grounds in Niseko United Rusutsu Ski Ground is an amazing resort with it’s own intense powdery charms just an hours drive away from Niseko. 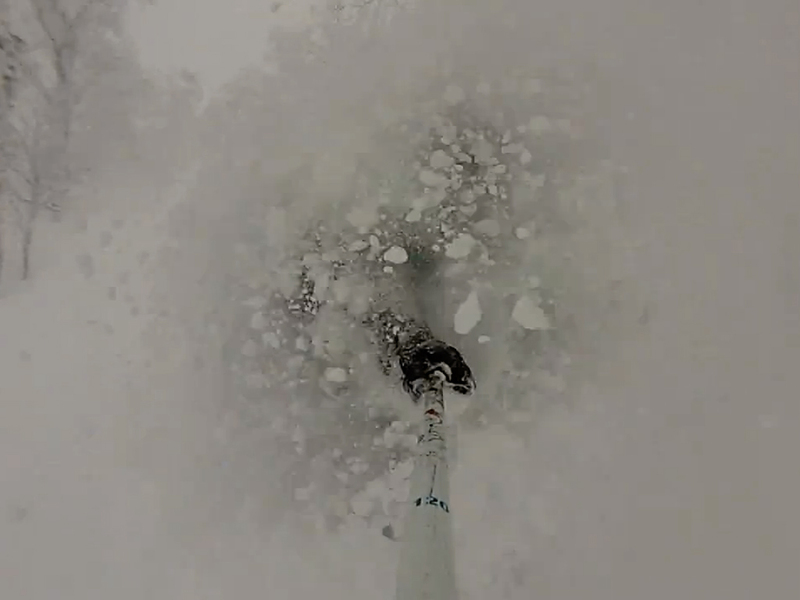 Below is a short video of Niseko local Dennis Van Den Brink and friends making the most of ‘just another epic powder day’. For those venturing over for a day trip from Niseko for the first time we highly recommend joining a guided tour with one of the established professional guiding companies such as Black Diamond Tours or Shinsetsu Mountain Guides who run day trips from Niseko. There are more than enough groomed runs to keep skiers and boarders busy for weeks but for more experienced riders without a lot of time to explore opting for a tour guided tour is worth the extra investment – the guides will get you straight into the best powder zones imaginable and safely home in time for a night out in Niseko Hirafu. Winter – bring in on!